ConcreteSection helps engineers to understand the cracked behavior and load capacity of custom reinforced concrete sections. Sketch or generate arbitrary concrete cross sections. Drop in steel rebar or structural shapes. View the stresses on the cracked cross-section under axial load and biaxial bending. Determine the capacity of the member using interaction curves and surface. Use encased structural steel shapes--such as an erection column. Create round or polygonal shapes with a polar editing grid. * ConcreteSection download link provides trial version of the software. 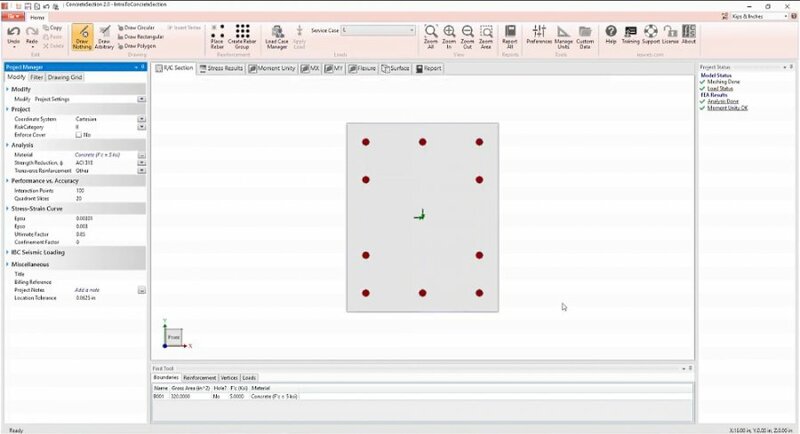 Allows you to interactively design Open Channel Flow for rectangular, trapezoidal and rectangular shapes. 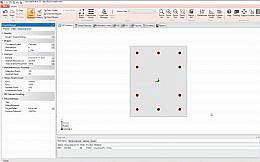 Solve plate bending problems for any geometry of flat plate, with various supports or holes. APILE is used to compute the axial capacity, as a function of depth, of a driven pile in clay, sand, or mixed-soil profiles. No one has rated ConcreteSection yet. Be the first to rate this product.